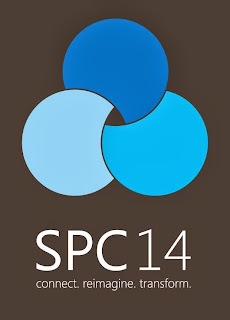 SharePoint Conference 2014 has come to a close, and the event was full of new announcements, high-powered workshops, and a set of minor shifts that indicated major trends. If you didn't manage to make it to the conference, there are always future meet-ups to look forward to—and we'll help you get up to speed by covering the major points from the 2014 conference in this article. SharePoint social has been growing exponentially with each new release of the platform. Now, as SharePoint Online takes center stage, Microsft's partnership with Yammer is bearing fruit. Yammer is replacing, upgrading, or streamlining many of the core offerings of SharePoint Social. Multiple keynote addresses and panel sessions focused on the use of Yammer and its potential utility within the platform. Of note, Yammer will also be branded as Yammer rather than being folded into SharePoint Social, which sets a precedent for future Microsoft acquisitions and integrations. This may also serve as a way to bring loyal Yammer users into the SharePoint fold. Windows Azure was a major focus of presentations and workshops. Lessons of note were based on the ability to use Azure to create test deployments of SharePoint farms, to enhance customization, and to troubleshoot issues. Microsoft project lead Jeff Teper made an exciting announcement for those using SharePoint Online for secure cloud storage. The previous storage limit is being multiplied, with the new cap on storage being set to 1TB of site data stored on OneDrive. Even better, the tenant storage is having all limits removed, leading to an infinite tenant storage scale. With the focus on virtual, cloud-based systems like Windows Azure, an expansion of cloud storage space, and a focus on the social features of SharePoint Online, it's clear that Microsoft is bringing all its forces to bear on the battle of cloud-based enterprise services. While that shift seems to be the predominant battle plan for the company, it's important to note that there has already been an official response to concerns about Microsoft abandoning on-site deployments of SharePoint. Microsoft has promised to keep on-site services up to snuff, and have indicated that at least one more on-site release is in the works.